This professional concentrated dual purpose product contains an insecticide and fungicide to protect and preserve timber. It is designed to eradicate and prevent attack by wood boring beetles and prevent wood destroying and discolouring fungi. 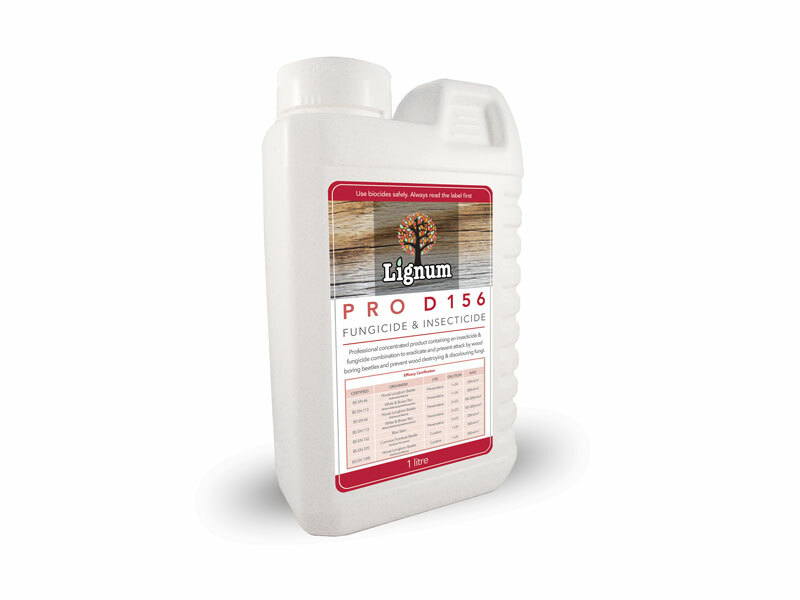 Lignum Pro D156 is effective against a wide range of wood rotting fungi including both wet rot and dry rot whilst the pyrethroid insecticide is effective against all life stages of wood boring insects. It is also effective against fungal staining. The concentrated product is diluted with water and can be used during the drying out period after the elimination of the source of damp. It is virtually odourless and can be applied either by brush or low pressure spray to provide long lasting protection.